I needed a card in a hurry! Out came the embellisher and this is the result. 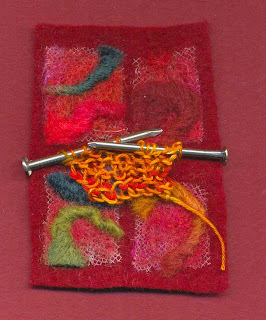 The background is fibres meshed onto net, added yarns and then reapplied to previously made felt. It's great. What a great use for nails....those are nails, right??? ?